James W. Reardon and James P. Carrabine formed Carrabine & Reardon Co., LPA in November 2006. Prior thereto, Jim practiced with Jim Carrabine for 10 years at another law firm. Jim has dedicated his practice to litigating primarily family law matters including divorces/dissolutions, custody disputes, child support and juvenile law cases. 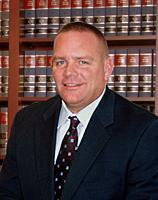 Jim is a member of the Geauga County (President 2004), Lake County and Ohio State Bar Associations. Jim is also a member of the Ohio Association for Justice. Born and raised in Cleveland, Ohio, Jim received his AB in Political Science from Miami (OH) University in 1989 and his J.D. from the Case Western Reserve University School of Law in 1992. Carrabine & Reardon Co., LPA, is located in Mentor, Ohio. We proudly serve individuals and businesses throughout Northeast Ohio.